A luxury home interiors store that will excite all of your senses! Cardiff is set to be the home of the most exciting home interiors store that the city has ever seen. 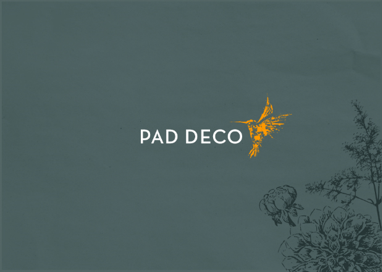 Featuring exclusive products never before been available to the retail market alongside handcrafted pieces from Wales, Pad Deco will fascinate all those that enter. Pad Deco is the vision of International Award Winning Interior Design Penelope Allen and highly successful entrepreneur Joseph Lloyd. Their challenge as a creative business was to harmonize the stores heritage with a design led approach that perfectly reflected the brand Pad Deco whilst showing the people of Cardiff what they are all about. Pad Deco will open its doors on Wednesday 25 March and will also hos two exclusive launch events in April.